Disclaimer: This post contains product(s) provided for my honest review. 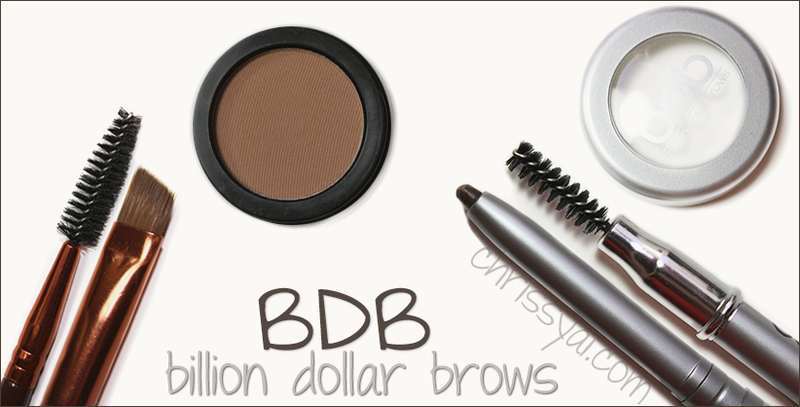 I'm reviewing a few products from Billion Dollar Brows today which, much to my surprise, I'm really liking! It's really difficult for me to find brow products I like because I'm not a fan of full/dark brows on myself so when I fill in my brows I like it to look as natural as possible and not "thick". Oddly enough, getting into beauty I think caring about my eyebrows came last. I used to always ask my friend to pluck my brows because I was lost and didn't think I'd ever understand how. Luckily.. I found my way. 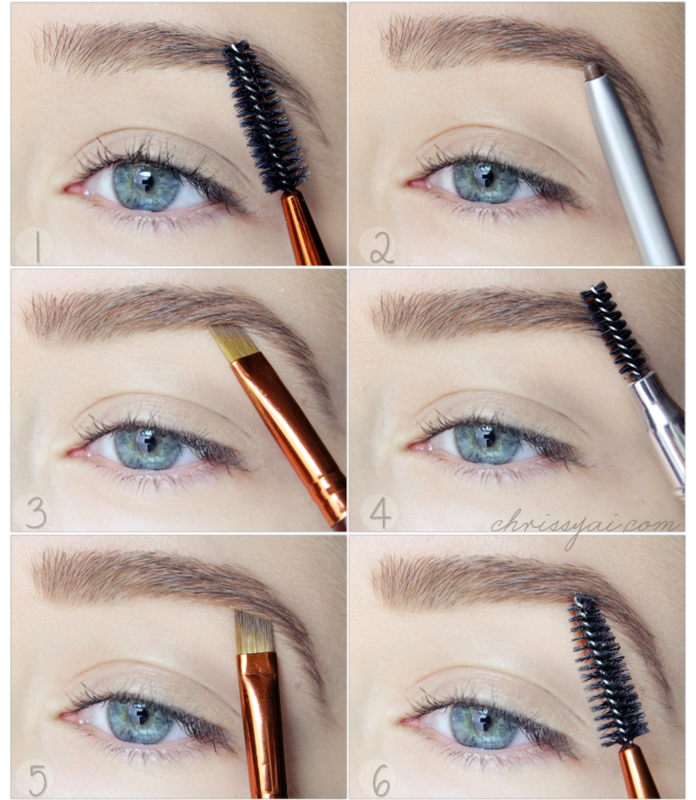 Step 1 : Starting clean and bare, I brush through my brows with the BDB Brow Brush spoolie end. Step 2 : I created my outline with the BDB Universal Brow Pencil. Step 3 : Here, I blended the outline with the brush of the Brow Brush. Step 4 : Brushing through with the spoolie end of the Universal Brow Pencil. Step 5 : Using the BDB Brow Powder in Light Brown, a little too warm for me, I fill in areas I feel need it. Step 6 : Spoolie through the brows again and voila! Done! I'm not really a pencil person when it comes to filling in my brows but I have to say, this is the best one I've ever tried. It matches perfectly, blends great, and can go fairly light (as shown in the photo demo) for a very natural look. This pencil matches both myself and Alexis, I'd say it definitely meets its' claim of being universal. If you're struggling to find a good pencil, please give this one a try! I've yet to find an eyebrow product that matches me as great as this one, I would definitely repurchase. For this product, I want to emphasize my disappointment isn't within the quality of this powder but the color. 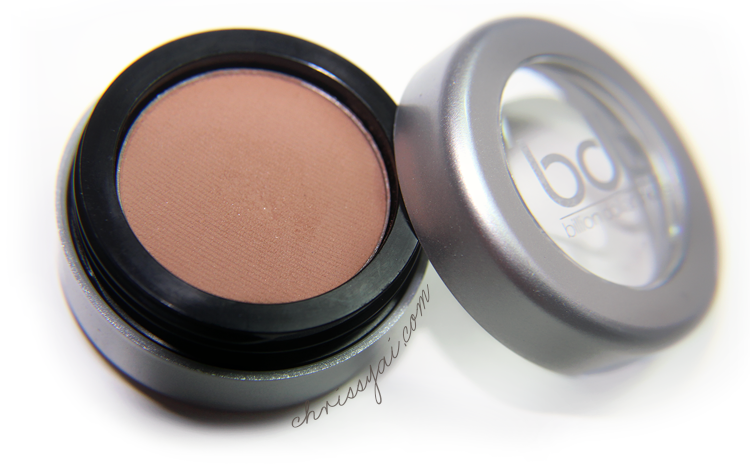 This powder has a great and lasting pigmentation and I love that it is buildable rather than opaque color. As I said, I like it to go as natural as possible since I'm blonde, I prefer not to sport dark, intense eyebrows. However, this shade is much too warm for my eyebrows. Based on the website, I would think that the shade Taupe would match perfectly but because it matches Alexis makes me think otherwise. The price does seem steep but if I could find a shade that matched me well I would repurchase. Being entirely honest, I haven't yet found anything extraordinary about this brush. It is excellent quality and I'd say the best brow brush I own. With that being said, I only have one other brow brush. The brush side of this duo-ended tool has nicely packed bristles which create a dense, but still flexible applicator. The bristles are also extremely soft. The end tip of the brush is fine which is one of the things that makes it a lot better than my other eyebrow tool. However, I'd have to say I find the spoolie end more useful to me! It's very firm, which I didn't like at all at first, but it's able to grab every hair and brush it into place, which is a big thing to me. In the end, I'm very happy with this brush and if you can justify the $16, I say go for it! I am loving and strongly liking all of these products. My only disappointment is the shade not matching me in the powder. Bottom line, if you're still in search for eyebrow products that will work for you and have the money, I highly recommend giving these a try! However, if you have your holy grail routine..don't fix what isn't broken, right? What are your favorite eyebrow products? Will you be giving these billion dollar brow products a try? Thanks for this post i've been looking for some new eyebrow products. Maybe i'll give these a go. Lovely blog that you have. I'll definitely be looking out for your future posts.